What time is it? It’s #AskaCurator time! Yes, September is more than Back to School time – it’s Ask a Curator Time! When is Ask a Curator? It’s a way to talk to curators and people who work in cultural venues you normally don’t have access to. 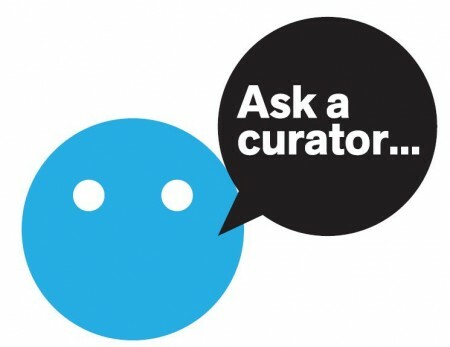 #Askacurator is open to everyone: Museums, galleries, National Trust, Theatres, and more. You can ask anything that you’re curious about or want more information on. What’s it’ like to be a curator? How do you decide what to display? What is the most unique object in your collection? As some curators won’t know *all* the answers straight away, it might be they have to get back to you if it is a specific question about the museum/gallery. However, if it is a general question, you might find another museum’s curator could answer it. Use the hashtag #AskaCurator on Twitter. You can ask questions to specific museums using the @MUSEUMNAME or you can ask general questions using #AskaCurator. In other words, curators spend as much or as little time as they want. It’s also a good idea to let your followers know you’re taking part. Some curators will write a blog or tweet they are taking part in #askacurator. Just come to twitter on the day and ask the questions. What I like to do is keep an eye on the countries and museums taking part and find a few unique ones that I want to know more about. You can set yourself a goal of asking a question to every country even! I find using Tweetdeck or HootSuite makes following the conversation easier. Many museums and art galleries who took part back in 2010 will testify to the great platform it gave them and large exposure that they would not have been able to achieve without #AskACurator. This is true for both large and smaller venues.